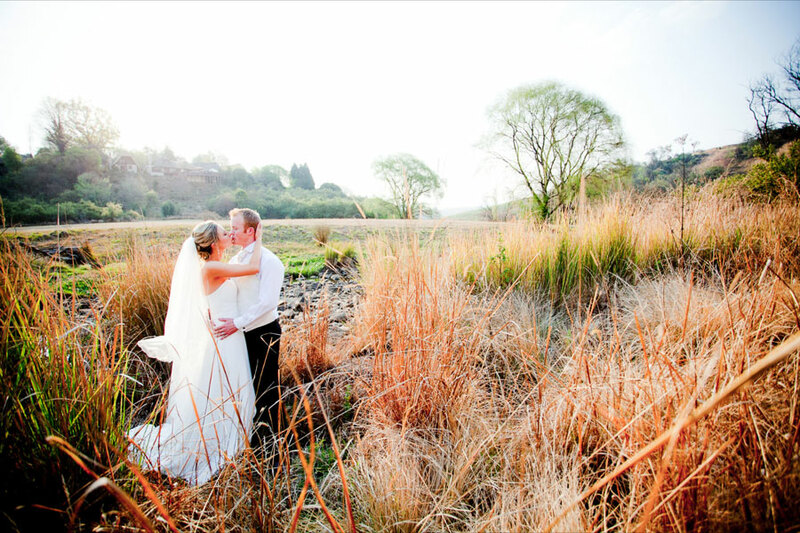 Imagine your wedding ceremony against the setting of the Caversham Valley, in the chapel, under thatch, followed by drinks in the beautiful Granny Mouse Hotel gardens around the swimming pool. The highly trained staff at Granny Mouse understand that it’s your day and will design a wedding package to suit your unique requirements. At Granny Mouse Country House the wedding package is designed to make this wonderful yet often stressful time as easy as possible, whilst ensuring that every detail requested by all parties concerned is flawlessly attended to. The air conditioned chapel overlooking the Caversham Valley can seat up to 150 guests and the Caversham Room that can seat up to 150 guests depending on your music preference. Nothing is too much for the team headed up by the owners, carried through by the on site wedding co-ordinators and experienced team of staff. The chefs proudly work with the bridal parties to tailormake menu’s that delight, surprises that astonish and ensure that every guest’s culinary requirements are taken care of. For enquiries contact the Granny Mouse Wedding Planners on telephone +27 (0)33 234 4071 or email them for more information on the various wedding packages available. See Granny Mouse Country House for more details.